The rich look and warmth of Wood Counter Tops can single-handedly transform a cool, reserved kitchen into a warm and friendly gathering space! Granite counters are gorgeous but, an entire kitchen of hard surfaces can feel cold and well, hard. 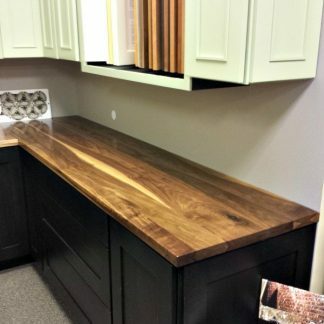 Simply replacing your cold island countertop with a beautiful hardwood top is a simple and inexpensive way to transform your entire kitchen into the warm, friendly focal point of your home. Click on the image below to see additional photos!